Setelah hampirlah penghoeloe itoe, berkatalah si sakit itoe . . . katja 295. He tells Soetan Mahmoed that his son, Samsoe, had not been killed by Meringgih in Batavia. Rather, he’d survived, assumed the name Mas (Sam in reverse), and become a lieutenant in the colonial army. Sam however is mortally wounded in battle against Meringgih, leader of a tax revolt against the Dutch. With his last words, the dying patient asks that Samsoe be buried between his mother and Noerbaja. 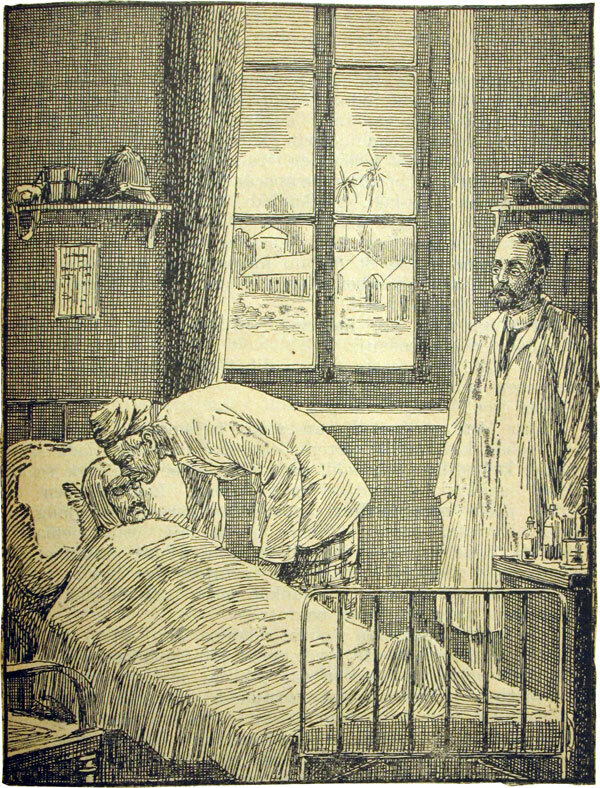 The visitor is then informed by the doctor that the man who has just died is none other than Samsoe, his son.